Free radical damage often leads to premature signs of aging. Vitamin E is a powerful antioxidant that helps to protect against damage caused by free radicals. Vitamin E derived from natural sources is better absorbed by the body and is more effective in comparison to synthetic form. 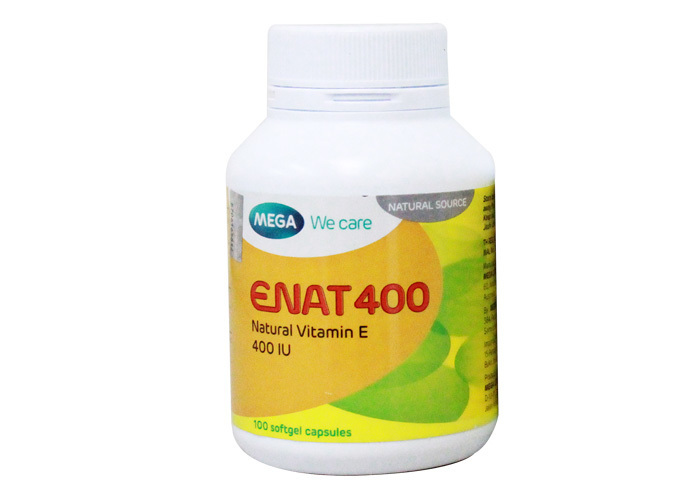 E Nat 400 contains vitamin E derived from Natural sources and offers various health benefits. Always insist on Natural! For prevention and treatment of vitamin E deficiency.